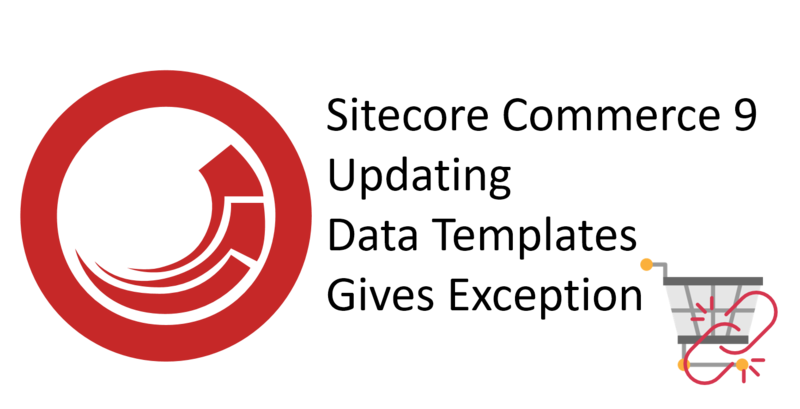 We have followed documentation on how to install Sitecore Commerce 9 on PaaS. We done bootstrapping and continued with remaining post installation steps. We have also restarted all services, just in case. 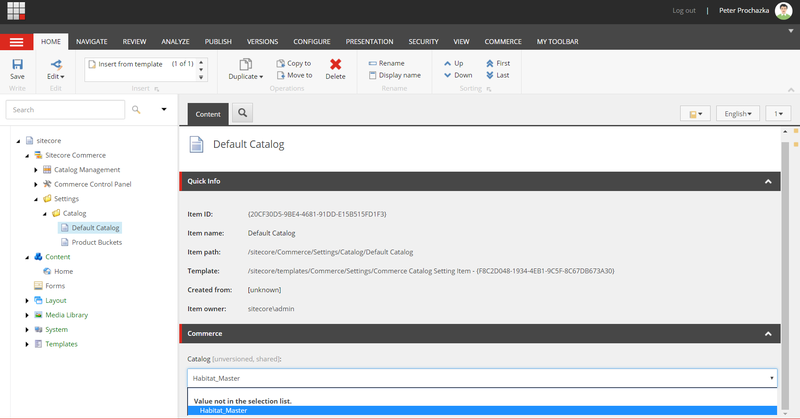 We have refreshed Commerce Cache from the Sitecore “Commerce” ribbon in Content Editor. Next step was to “Update Data Templates”. 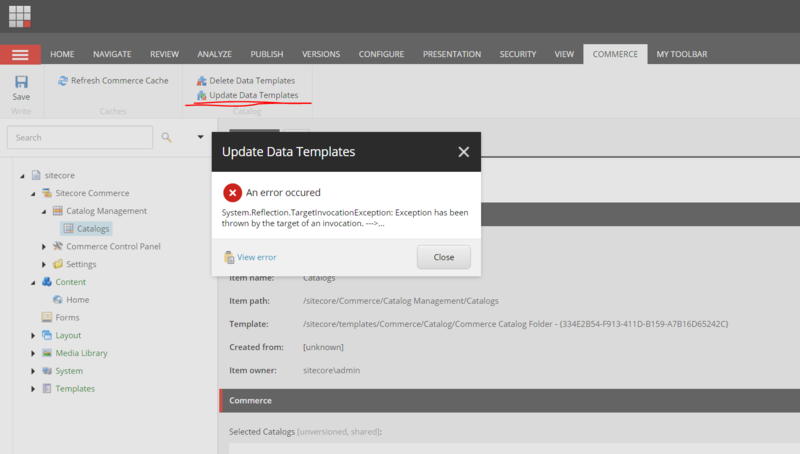 I navigated to “/sitecore/Commerce/Catalog Management/Catalogs” and field “SelectedCatalogs” was empty. You can see it on picture above on the bottom part. I suspected that this was causing trouble but couldn’t find out how to make it fulfilled. I have clicked “Refresh Commerce Cache” couple of times on “Commerce” ribbon on and also restarted services in Azure PaaS. Nothing helped. So what was wrong with Content Editor and Commerce related items there? Actually nothing wrong with Content Editor. 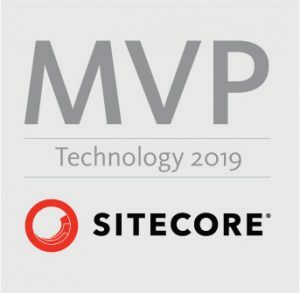 We were using default environment in Sitecore config that was not bootstrapped, therefore we received exceptions. My colleague has not used default environment “HabitatAuthoring” during provisioning PaaS (as I did on prem) and configured our custom one. I bootstrapped and initialized only AdventureWorks and Habitat environment on PaaS. Therefore it was not working. Another option to solve this problem would be to create and bootstrap your own environment to meet your custom environment name in config. This would be either way done as next step / correct solution during development phase of your project. First solution solves the problem with OOTB / default values to showcase that Commerce 9 is installed and up and running.